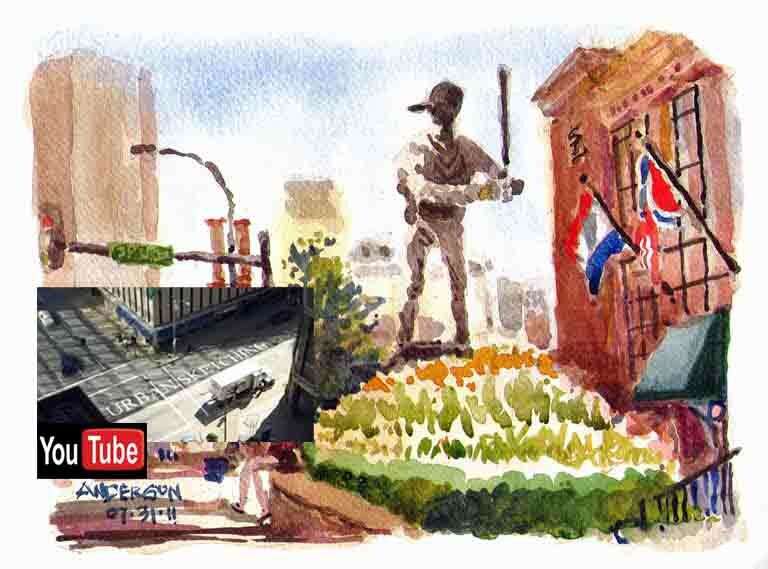 This video records the essence of the urban sketching experience at the Stan Musial statue in front of Busch Stadium on a July morning in 2011. 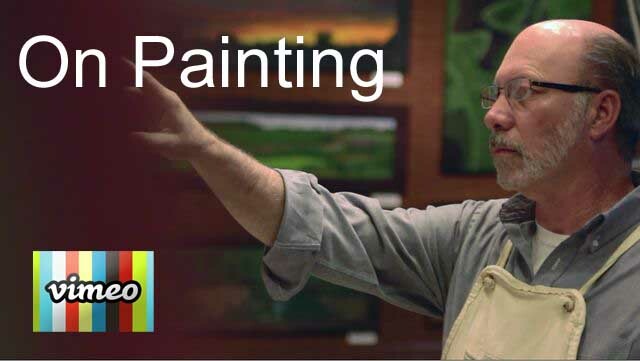 Although final enhancements to Florentine Ceiling were completed in studio, the painting was begun and substantially completed as a demonstration piece before an audience of approximately 20 watercolor enthusiasts at Concrete Ocean Gallery, St. Louis, on June 24, 2013. Highlights of the presentation can be seen in YouTube video here. Florentine Ceiling received the Gateway East Artists' Guild 2013 annual Roy and Mary Kerchner Memorial Award for Transparent Watercolor. The prize was announced in an awards ceremony for the 2013 Gateway To Art exhibition at the National Shrine of Our Lady of the Snows Visitors Center, Belleville, IL. The exhibit included 140 works in all mediums by 50 artists. Awards of recognition, merit and excellence as well as Best of Show, the Kerchner Memorial Award and the American Frame and Art Supply award were selected by artist Nancy Newman Rice. Ms. Newman Rice is the recipient of a National Endowment for Arts Fellowship For Painting and a Tiffany Award nominee. 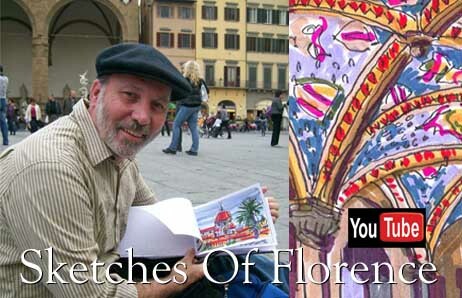 The results of seven days of independent study and urban sketching in Florence, Italy in October 2009 as recorded in the pages of my sketchbook. 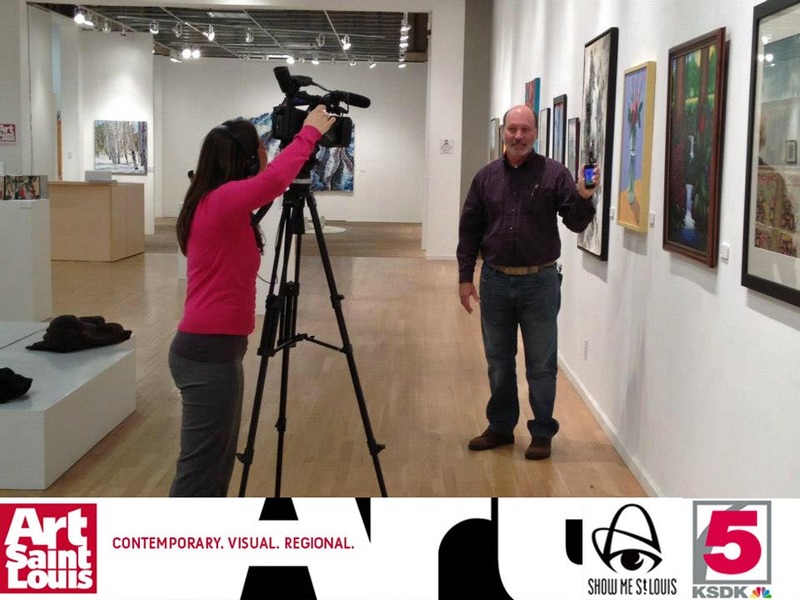 KSDK Chanel 5 interviews Art Saint Louis's Artistic Director, Robin Hirsch, and artist Michael Anderson, in a Show Me St. Louis segment spotlighting our 28th annual all-styles, all-media exhibit, Art Saint Louis XXVIII: The Exhibition.